I started Saunatimes about 10 years ago, with a vague yet committed intent to share the goodness of authentic sauna with others. 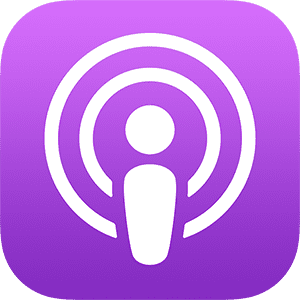 I started Sauna Talk podcast a year or so ago. At that time, I created an “intention” to host three specific guests to Sauna Talk. I’m very pleased to share with you one of these three guests. My vision was to be able to bring you this guest to Sauna Talk and here he is. Wim Hof holds 26 world records, including a world record for longest ice bath. Wim describes his ability to withstand extreme cold temperatures as being able to “turn his own thermostat up” through breathing exercises. In February 2009 Wim Hof reached the top of Mount Kilimanjaro in his shorts within two days. He completed a full marathon above the Arctic Circle in Finland, in temperatures close to −20 °C (−4 °F). Dressed in nothing but shorts, Wim Hof finished in 5 hours and 25 minutes. In 2011, Wim Hof broke the ice endurance record twice, in Inzell in February and in New York City in November, setting a new Guinness World Record by sitting in an ice bath for 1 hour, 52 minutes, and 42 seconds. In September, Wim Hof ran a full marathon in the Namib Desert in Africa without water, under the supervision of Dr. Thijs Eijsvogels. I was super excited to be chosen to attend A-Fest in Montego Bay, Jamaica. This was an invitation only conference put on by Mindvalley, a learning experience company that publishes ideas and teachings by the best authors in personal growth, health and fitness, spirituality, productivity, mindfulness and more. The theme for this gathering: enhanced state of consciousness. 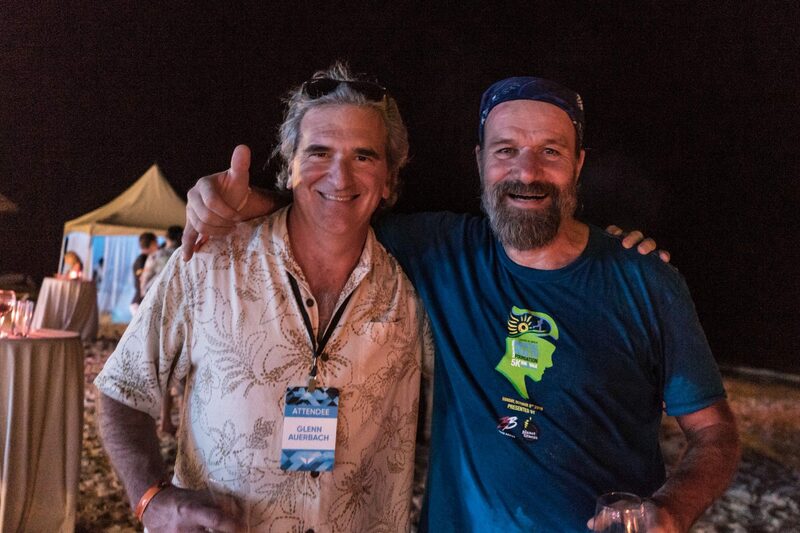 Wim Hof was one of the top speakers for this conference. The Wim Hof Method hits this theme square on the head. The 350+ of us in attendance were demographically aligned for the Wim Hof Method. There were health practitioners, yoga instructors, traditional and non traditional doctors, and a bunch of successful tech entrepreneurs looking to find deeper meaning. Most all of us had an understanding of the Wim Hof Method. And Wim was in his element. 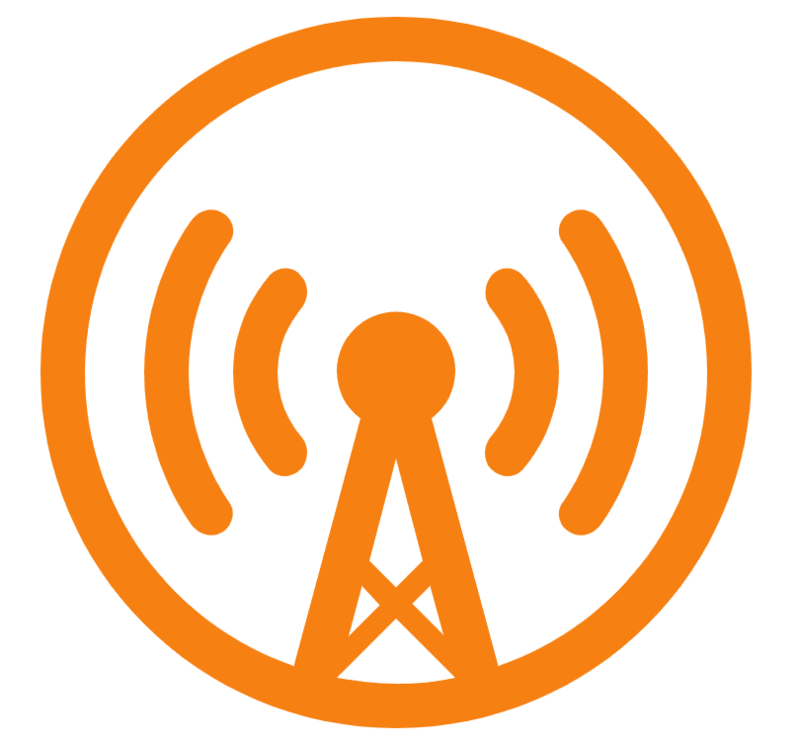 A-Fest is part TED Talk with insightful presentations and part Burning Man with awesome parties. At the conference, I was out of my element for the first couple days. I was focused on trying to lock down Wim for Sauna Talk – responsibility before privilege, as my 6th grade teacher drilled into me, so it was hard for me to be “in the moment” for the presentations or the parties. I had my podcast recording equipment with me, was trying to be respectful to Wim, while trying to work in a time for this Sauna Talk interview. It was important for me to have him understand what Saunatimes is all about, which is the appreciation of the authentic sauna experience. Like the Wim Hof Method, we know that sauna is good for us. I believed it important for Wim to know that I’ve been actively doing the Wim Hof Method for over two years. I was focused on getting his take on my instinct that his breathing method and cold water therapy are in step with sauna. My hunch was that Wim Hof understands and enjoys sauna. We sauna enthusiasts love the cold plunge. The Wim Hof Method incorporates deep breathing and taking control of our autonomic nervous system is in parallel to sauna. Sauna and Wim Hof Method are related. Cousins. 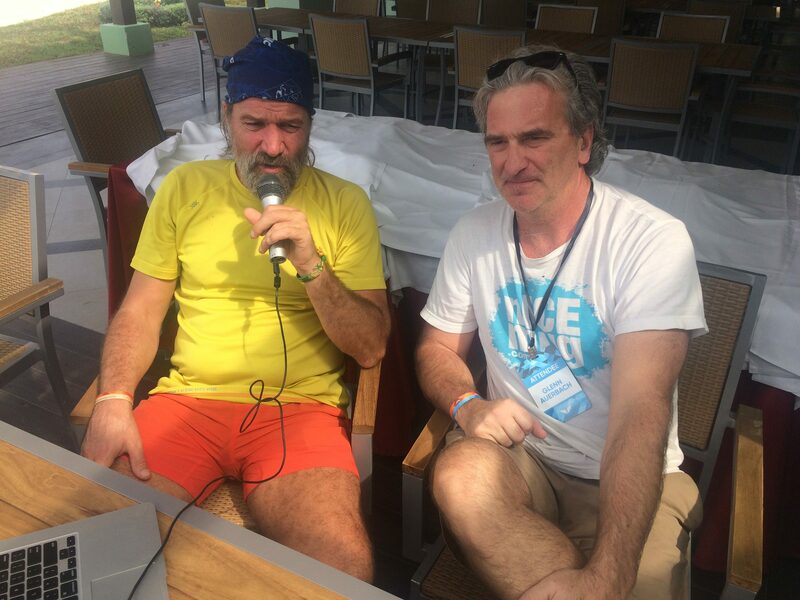 Back to Montego Bay, Jamaica: Thankfully, I found a moment to introduce myself to Wim. It was after our dinner party, night one, on the beach: I spotted Wim at the party. “Be cool” I kept telling myself. Wim was in shorts and T shirt, no shoes. My kind of guy. I reached out my hand. I tried to be both friendly and yet with a purpose. We talked and connected as I hoped we would. We talked about clinical studies, taking his work to the next level. I talked about my interest in clinical studies with sauna, taking sauna to the next level. Wim agreed to Sauna Talk. At some point in our conversation, I mentioned to Wim that his technique, the Wim Hof Method and sauna go together like peanut butter and jelly. Wim got a big smile with that. We created a bond from that. I was most pleased. 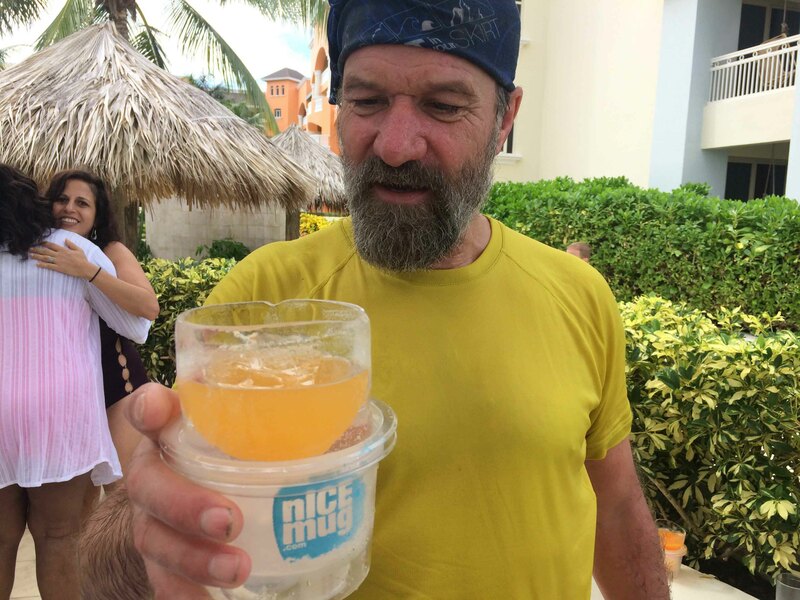 Meeting Wim Hof, cocktail in hand. From my side of things, we had a great first encounter that first night. Barefoot on the beach. He said to me: “I’ll do your Sauna Talk.” A great first step, but when I asked? “5 O’clock tomorrow. On the beach.” Then Wim drifts off. Will he remember? I watch him moving on to others. I notice that Wim Hof has only one button. He is “on” all the time. Barefoot and carefree, but i rightfully sense that he is locked down and committed to what he knows. His mission. So 5 pm the next day comes and goes. Heavy afternoon rain puts a hick up on any chance of connecting with Wim Hof for our Sauna Talk. I’m left empty once again. The party that night is off site, up into the jungle in Jamaica, at a Rastafarian village. 3-400 of us, but Wim is easy to spot: completely unpretentious, in front of the stage, deep into free form dancing, and even deeper into the mud from rain earlier in the evening. It’s hard to lock down a free spirit. 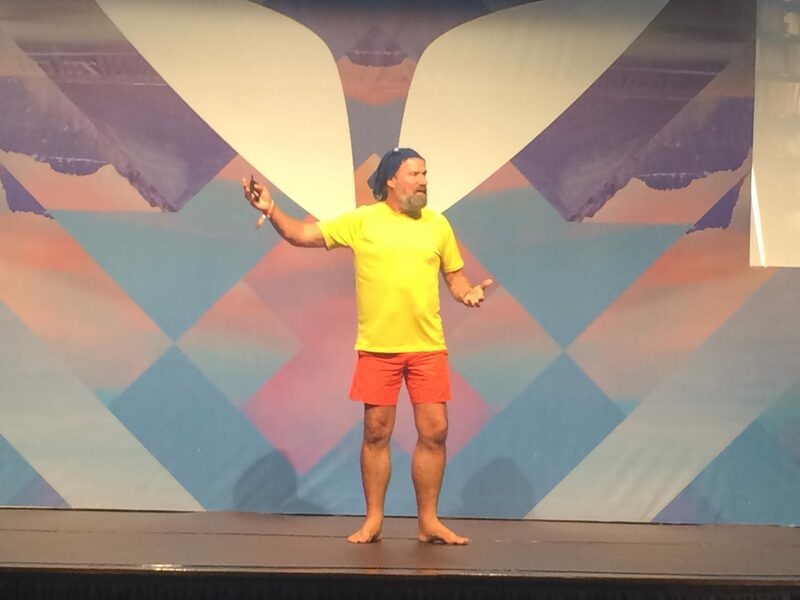 The next morning Wim is on stage, he is presenting his story: the Wim Hof Method. Deep breathing and “rewriting the history books.” Basically how we can take control of our bodies through our minds. As humans, we have become soft. 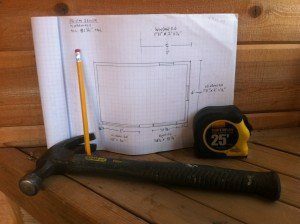 Air conditioning everywhere, and losing touch with our connection to “hard nature.” He is making bold claims but Wim is backing it up with clinical studies that are showing how this can be done. There is the famous study from the University of Amsterdam, that dispels the myth that Wim is a “freak of nature.” In this study, a control group is injected with a bacteria and the other group, after 4 days of training with Wim, were ALL able to ward off the fever, nausea, and sickness from the bacteria. Breathing. Can it be this simple? The audience hangs on every word. After his presentation, I track Wim down leaving the conference hall. Enahm is whisking him away. “We need to go do photos.” They head down the hallway to their suite, leaving me hanging once again. I’m starting to think that this Sauna Talk may not happen. I’m bummed out. There is some good news in that Enahm and I are connected via text, and after about half an hour of me feeling empty, he responds. I read: “now may be a good time for the interview. On the beach is probably a good spot.” Wow! I jump up and head down the hall. I see Enahm and a couple photographers, followed by Wim. Enahm doesn’t see me walking the other way, but Wim spots me and gets wide eyed. He calls me to him with a silent wave. He grabs my arm and whispers in my ear: “let’s go Sauna Talk.” I feel a huge wave of relief. We turn the opposite way. Wim turns to look over his shoulder, like a kid. We are ditching his manager, his son. We turn the corner and we are free. We head out to the beach area and find ourselves a quiet area, far from the beach goers, far from everyone, including far away from his son Enahm! We settle in and I flip on the microphone and make double sure the recording is working.. and then we dive into this episode of Sauna Talk. 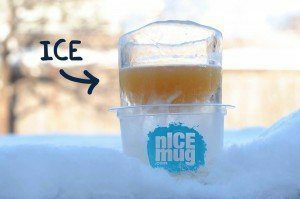 The Iceman – Wim Hof – drinking out of nICE mug, a glass made entirely out of ice. 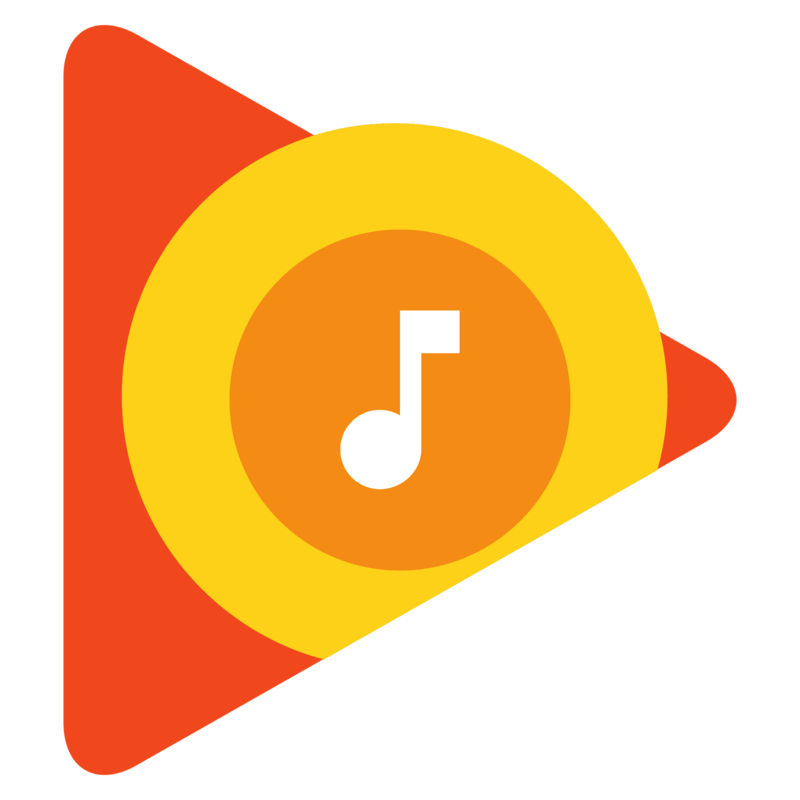 click here for Google play. I’m sponging up the knowledge and insight on your page with great enthusiasm! Thank you for your work here! Please click on the Sauna Talk link above. You can navigate to the Wim episode from there by clicking “episodes” at the top center of the box. Loved this talk. When I started learning about Wim Hof, I also suspected that he understood and enjoyed sauna. That’s so awesome that you got to meet him and do this. His method and everything that he is doing is so inspirational. I just bought a freezer to use as an ice bath with my back patio sauna and am so excited to incorporate it into my sessions.